napa valley Archives — Vertical Brand Development – Packaging and Brand Design for Premium Consumer Goods « Award Winning Branding, Packaging and Graphic Design for Premium Consumer Brands in Sonoma County, California. Wine labels, Packaging Design, Cannabis Packaging, Beer Label Design, Food Packaging, Cosmetics Packaging. 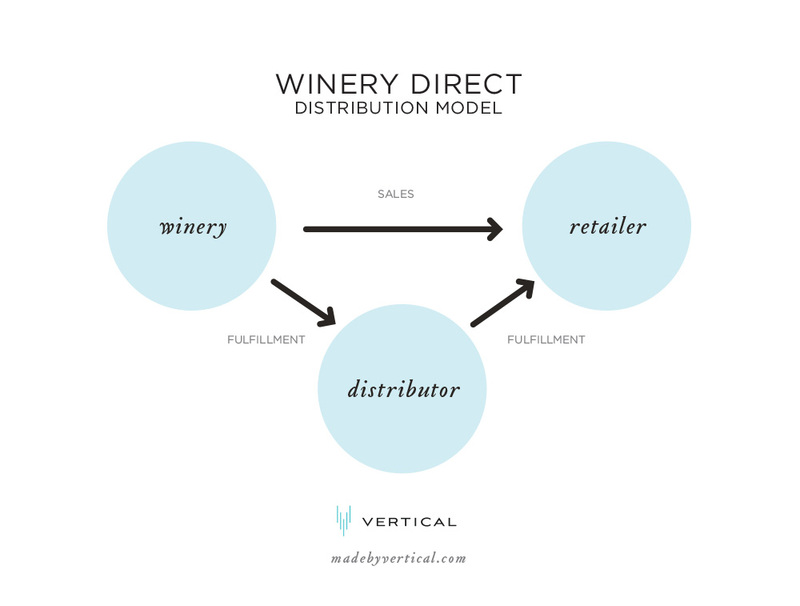 After suffering from decades of frustration that spawned from dealing with the 3-tier distribution system in the United States, many producers have seized the opportunity to grow by harnessing the power of the winery direct model. In this model, producers negotiate sales directly with retailers, and then work with their distributors as a “clearing house” capacity, since they are not responsible for actually marketing the wine, but merely deliver wines to the retailers after importing them into their site via their license. When executed well, the end result is value delivered across the 3 tiers, and even the 4th tier: The Consumer. On the retail side of things, the highest-profile innovator is undoubtedly Total Wine & More. 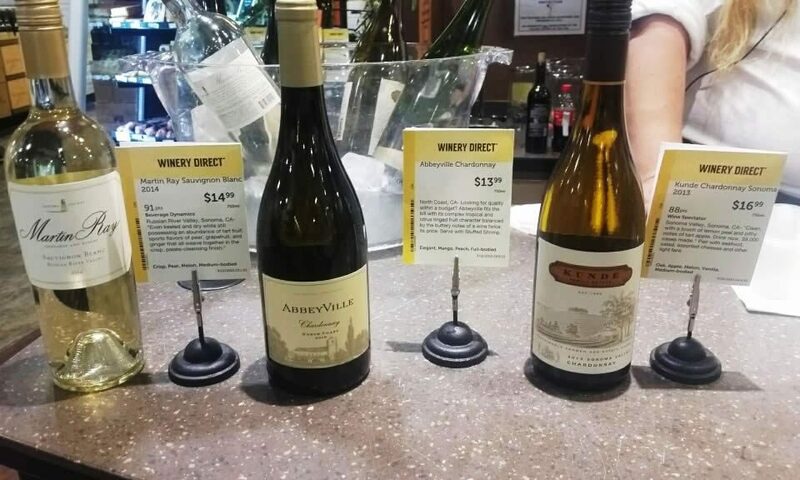 Instead of hiding these control brands as “white labels”, they’ve taken the bold step of actually promoting these brands as winery direct, wearing the value that they provide their consumers like a badge of honor. Due to the attractiveness of this model, however, this space has become increasingly competitive for producers. In the early days, it was sufficient to simply make a good wine at a great price and label it with anything that felt halfway credible. Following this initial wave, more novelty brand begun to spring up, such as the “Evocative Wrapped Bottles” produced by Truett-Hurst and sold at Safeway stores. As large producers have stepped into the market, they’ve undoubtedly pushed the needle in terms of creativity, and have succeeded (in many cases) through brute force and by flooding the shelves with a variety of control brands across multiple varietals and categories. This has made it more difficult for smaller producers to compete, given that their COGS are typically higher than that of massive operation, and they don’t have six figure design budgets to enable them to throw a dozen or more brands against a retailer’s walls to see what sticks. 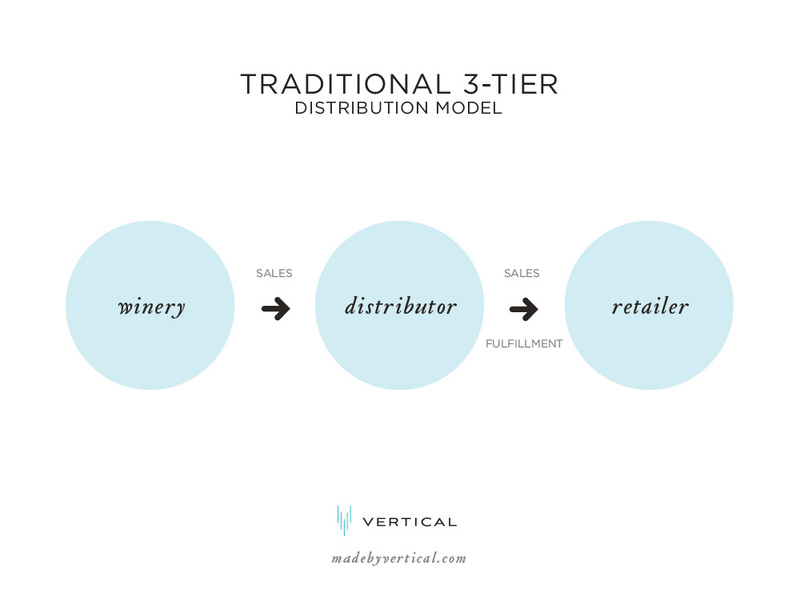 So does this spell the end for the small and mid-size wineries within this distribution model? To maximize the ROI for independent producers, winery direct brand development needs to be just as strategically sound as the flagship brands consumers love. There’s no doubt that the conglomerates of the industry have a significant advantage in terms of marketing budgets, but the real key to their success is to focus on the consumer rather than the buyers at a given retailer. The good news is that this doesn’t have to involve a huge research budget or a 50 page strategy deck from a branding firm. Instead, if your sales and marketing managers carve out time to talk about the consumer with your designer/agency, you’ll be amazed at how efficiently the process can be. The key here is to be specific. Who is he/she? What kind of car do they drive? What’s important to them? What do they do for fun? What does their evening or afternoon look like when they’d decide that opening a good bottle of wine would be the perfect thing to do? It seems simple, but truly committing to putting yourself in the consumer’s shoes is the key to success. If you can provide a clear rationale for who would buy your brand, and compelling reasons as to why they would relate more strongly to your brand than Apothic Red, you will have changed the conversation in your favor. Retailers are focused on selling wine to real people. As marketers, we should be too. Any time you are in a particular retail chain, be sure to chat up the sales staff. Instead of focusing on volume, ask the staff which brands tend to have repeat buyers. Who is buying it? Why does the staff think that is happening? It isn’t scientific, but it’s free. Those conversation can create “nuggets” of information that you can draw from when you get into your creative war-room mode, and provide great anecdotes when you prepare your presentation documents to the chain’s buyers. We heard this from your floor staff, and it inspired us to create this. It’s a simple tactic, but one that has proven to be very compelling. You’ve done your homework, and you’ve identified a clear consumer target and have a deep understanding of their particular wine “use cases”. Congratulations, because you have built a solid brand foundation. Now it’s time to build that house. Through collaboration and open dialogue with you creative team, work to craft a distinctive name and brand language that can appeal to this consumer’s sensibilities and lifestyle. How are you going to be distinctive on that crowded shelf? Don’t worry about your own personal tastes. Again… think only about the consumer. For more information on our approach to consumer-focused design, read up a bit on The Mirror Effect. Additionally, let’s operate under the assumption that everyone would rather have multiple-case stacks placed in-store rather than just a single on-shelf facing. With that in mind, why on earth would the design of your shippers be an afterthought? Taking advantage of techniques such as color blocking and billboarding can get your brand noticed on end caps and can greatly encourage retailers to stack your product. Additionally, the shipper can be a great opportunity to communicate aspects of your brand that might not be the right thing for featuring large on your front label. For instance, if you are producing biodynamic wine or using sustainable packaging, this would be a great chance to communicate that to potential consumers. Free promotion, increased sell-though and additional brand value communications? You’ve sweated the details. You’ve identified a consumer and created a label that speaks to people, so why skimp on the presentation? That doesn’t mean you have to spend an arm and leg on building a presentation that would make Pink Floyd blush, but simply stated, you need to show that thought that went into creating the brand that you are presenting. Talk about the customer you are targeting. Show how you are meaningfully differentiated from the brands that the retailer already carries. Sharing your thinking with the corporate wine buyers reinforces the effort you’ve put into crafting your brand and shows that you are focused on helping the retailer move more cases. I’m a firm believer that helping our winery-direct clients to craft a brief presentation should be part of any brand design or development project, as it maximizes the ROI that we can provide our clients. If you’re simply getting handed production artwork and being wished “good luck” by your creative team, then it might be time to start thinking about making new friends. I’ll be sharing more details about the process of crafting these presentations in the weeks to come. Many wineries have shied away from doing winery-direct deals with their core brands, and for good reason. Brands that are positioning themselves for sale are looking to maximize the per-bottle price their wines fetch, or perhaps they are afraid of undercutting the brand’s perception if the majority of their business is at more premium price points. In the case with a family-branded winery, one potential solution would be to extract one particular detail from their brand story and let it take on a life of its own. For instance, if your core brand story were based on being one of the original families in your region, you could build an entire control brand around making wines with a pioneering spirit. This would allow your sales team to have continuity in their sales pitch, in effect connecting the control brand to your master brand that they already know and respect. For the consumer, you’d be telling a story that is compelling in and of itself, without the heartache of seeing the family name above a tag that is far below the price it typically fetches. There’s no doubt that the winery-direct market can seem daunting for independent wineries. Just know that if you keep the prize in mind and focus on what counts (the consumer), any producer can reap the rewards that have made this model so appealing for operations of all sizes.